Upside Learning attended the ATD TechKnowledge conference in San Jose, where we shared notes about ‘learning that sticks’ and handed out sticky notes. 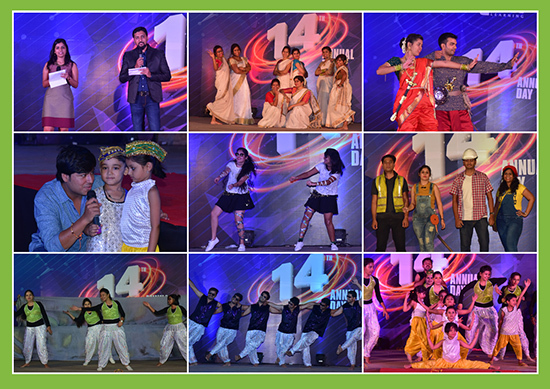 We celebrated our 14th Anniversary with a fun filled event as the employees came together with their family and friends for an evening of fun and frolic. 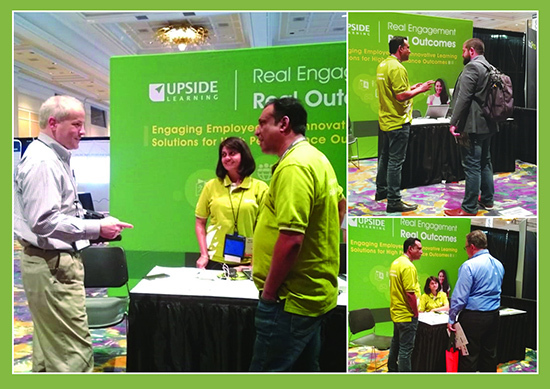 The Upside Learning Team was at DevLearn, Las Vegas, where we were exhibiting and talking to peers and attendees about Real Engagement. Real Outcomes. It was a moment of great delight for us to win Two Brandon Hall Awards for Best Learning Team and Best Use of Mobile Learning. 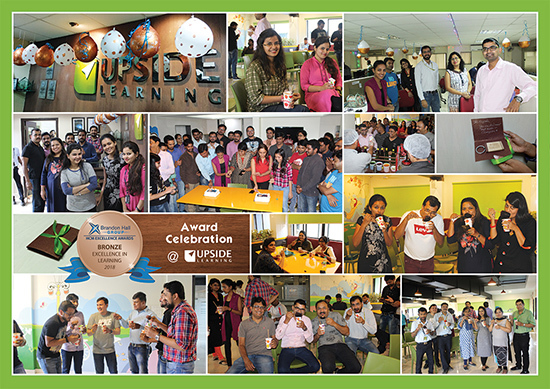 The achievement was celebrated with much fanfare at our office! 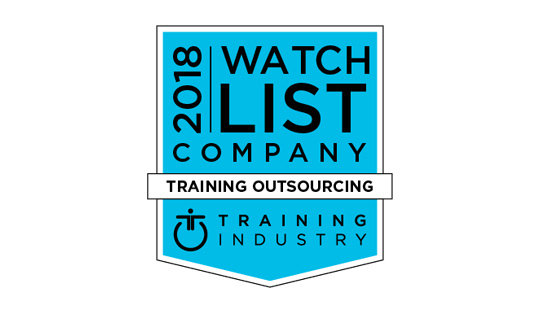 Upside Learning Solutions featured in Training Industry, Inc.’s 2018 Top Training Outsourcing Companies – Watch List for the fourth consecutive year! 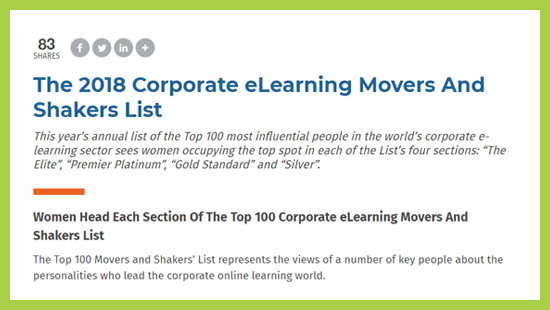 The 2018 Corporate eLearning Movers and Shakers List had Amit Garg listed amongst the top 100 most influential people in the world’s corporate e-learning sector for the 6th year in a row! 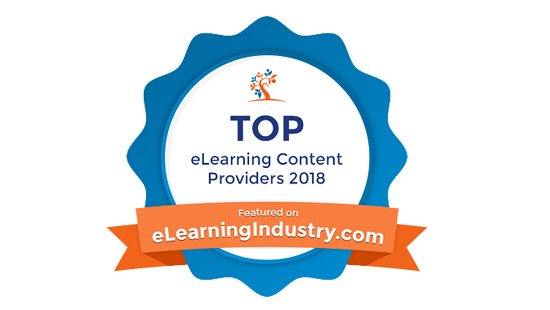 We also made it to eLearning Industry’s Top eLearning Content Development Companies for 2018 for the 4th time in a row! 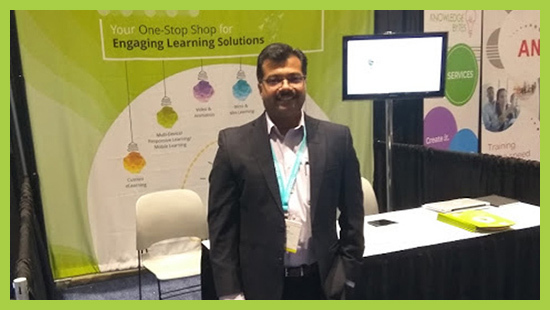 Our team created an innovative SCORM and xAPI compliant eLearning app for iOS and Android platforms for one of the largest workers’ unions in the world. The uniqueness of this solution is that it converts SCORM data to xAPI within itself before sending it out to an LRS. This mobile APP is designed for 30,000+ users and can also work in offline mode. We created another interesting app for extending ILT, to be used as a learning reinforcement tool post classroom or eLearning training session, wherever required. Our ‘What’s New’ team (that’s what we call our Innovation team) created an Interactive Virtual Reality (VR) project for one of the largest banking groups in the Middle East. 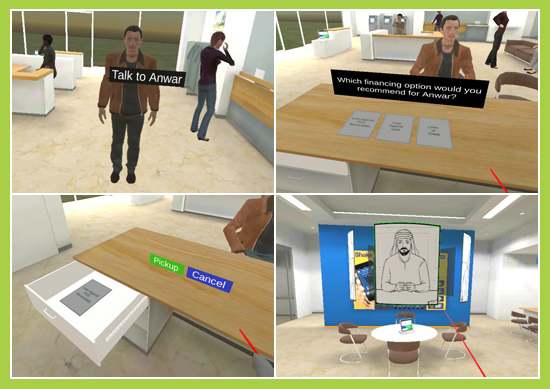 This VR training is aimed at helping bank employees deliver improved customer experiences. Developed in Unity 3D and structured so as to easily include more scenarios later on, the app is packaged as an app for viewing on Oculus Go VR systems. Our team also embarked on creating an AR solution for a global construction equipment manufacturer. Developed using Unity 3D, Vuforia, and Blender, the AR app will be preloaded on in-store devices and marketing/sales/product data materials can be scanned to launch interactive 3D animations. We successfully convinced one of our clients to not do a routine ‘slips, trips, and falls’ compliance elearning but to go for a ‘learning campaign’ which focuses on building the right behaviours in their staff. 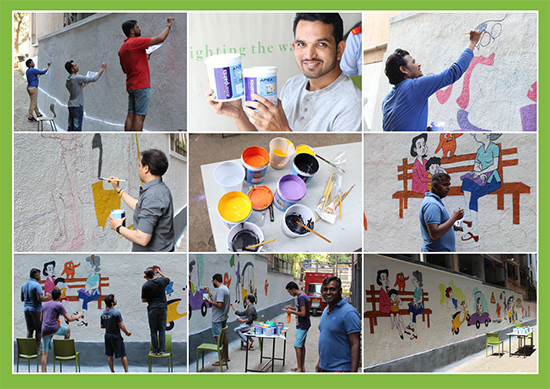 Talented artists from Upside Learning came together to create a series of wonderful wall paintings that beautifully depicted several scenarios from our daily lives that need our attention and action for creating a better world around us. 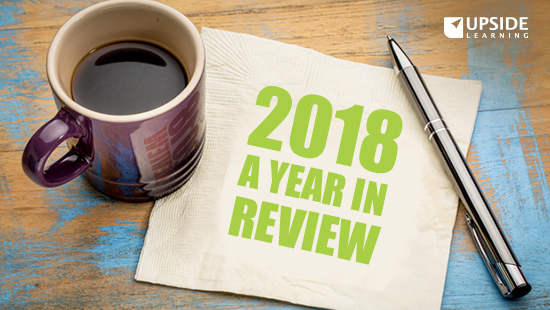 We published a critique on The 2018 LinkedIn workplace learning report, discussing the gaps and lack of solid evidence to back their findings and claims and how it leaves Talent Development or Training professionals grappling with misleading advice. 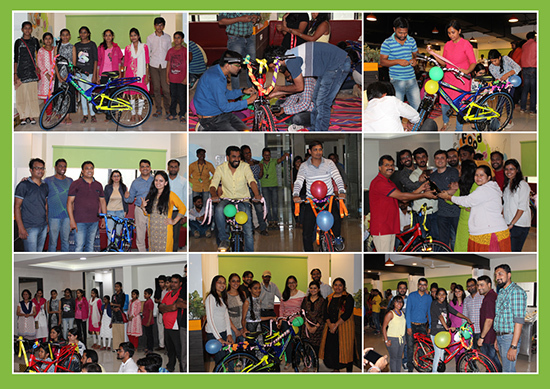 For our team members, we organised a team building activity, where we divided them in teams and made them assemble bicycles. The assembled bicycles then were gifted to underprivileged children. We launched a campaign on Flash to HTML5 conversion to help our clients migrate their legacy Flash-based eLearning content to HTML5 and make them ready for a world without Flash. So far, we have converted 500+ hours of Flash eLearning for 15 clients.